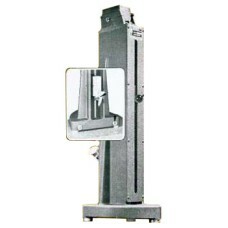 Located in Rochester, NY the Indi-Square / Genesee Manufacturing Company produces the squareness / straightness gage, Indi-Square. An excellent solution for fast and accurate quality testing of manufactured parts requiring the inspection of squareness and straightness. The Indi-Square features an exclusive anti-friction lifetime sliding mechanism! 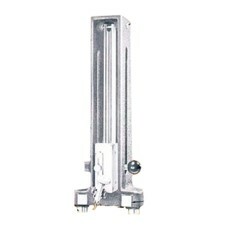 Checking squareness or straightness in cavities, slots, recesses and other hard to reach places. Checking squareness of in line bored holes, also perpendicularity and straightness of vertical surfaces on the same part, all in one setup. Check squareness, straightness and parallelism of adjacent planes. Check perpendicularity, parallelism and straightness of intermittent surfaces. Check squareness and/or straightness of large parts right on your production line. Check horizontal surface straightness by moving the instrument on surface plate. The Indi-Square Company/Genesee Manufacturing produces squareness and vertical straightness instrume.. The Indi-Square Company/Genesee Manufacturing produces squareness and vertical straightness instru..